Maya hurried towards the two-wheeler parked near the vegetable kiosk and the contrast was obvious. While an obese Mahesh struggled to balance his scooter, his lissome wife’s effortlessly perched on the pillion. Mahesh then kick started the Lambretta, which refused to buzz. When repeated attempts failed to ignite the engine, a student came forward and offered help. Mahesh smiled sheepishly and thanked the boy whose name he didn’t remember. And then it happened. One of the boys commented, “Beauty and the beast,” followed by stifles of laughter. Living on the campus premises, Mahesh was a Professor of mathematics at The Benares Hindu University. A metaphor for his name, size and subject, Matty was the jocular term coined by his students. Lately, after his marriage and the birth of his younger daughter, Mahesh remained largely withdrawn - dour and uncommunicative. Who cared if he was a brilliant mathematician? None of the problems in his life added up. Returning to a quiet home, Mahesh found refuge in voluminous books adorning the wooden shelves of his study. Picking up a book randomly, he flipped the pages. When he tried to deliberate, words shimmered senselessly on white pages. He tossed the book on the table so hard that it fell on the ground. Unable to focus, he entered the kitchen and saw Maya storing vegetables in the vegetable basket. “They are in the park,” replied Maya. 'Playing with friends." Mahesh peered out of the window. Children were playing in the neighborhood park. A father and son were bonding over football. His heart cringed. Then he glanced at his wife. She appeared even more attractive, kneeling, sorting vegetables with a tendril of hair falling on her peaches and cream complexion. What good is her beauty if she can’t give me a son? On an impulse, he dragged Maya to the bedroom and forced himself on an unwilling wife. Their third child this would be. A mother at forty-two, Maya’s mind hovered in hopeless circles. The tedium of changing diapers, sleepless nights and preparing gruels - all seemed daunting. With Mitali, fifteen and Naina, ten, her worst fear was most dreadful. What if it happened again? Mahesh had no patience or time for senseless sermons by another woman. He knew that his seemingly submissive wife rebelled secretively. Perhaps it was Maya, who prompted the doctor to sermonize, to make him see her own point of view. Mahesh was immersed in a book when Mitali knocked on the door. "Go ask your mother,” Mahesh said. "This numerical, I dont know how to solve this, " said Mitali. “Your teacher is an idiot. Tell her, I said so." These female teachers are useless. Increasingly, Mahesh spent his days at his desk, correcting papers and reading books. Each night, he’d take a break from reading and imagine cradling his son, playing with him for hours at stretch. He felt at peace when he thought about someone who’d take care of him when he was frail and old. He could recall every day he’d spent with his own father during his last days. He had seen his father become a cripple before his very own eyes - lose hair, appetite, voice and finally the will to live. After his father’s demise Mahesh had become increasingly insecure about his own future. It could be any day, the doctor had said. With fifty percent attendance and students throwing chalk in all directions, he taught half-heartedly. When the chalk throwing and giggling continued unabated, he decided to leave. This generation is hopeless, does not have any focus, direction or clue of their future. 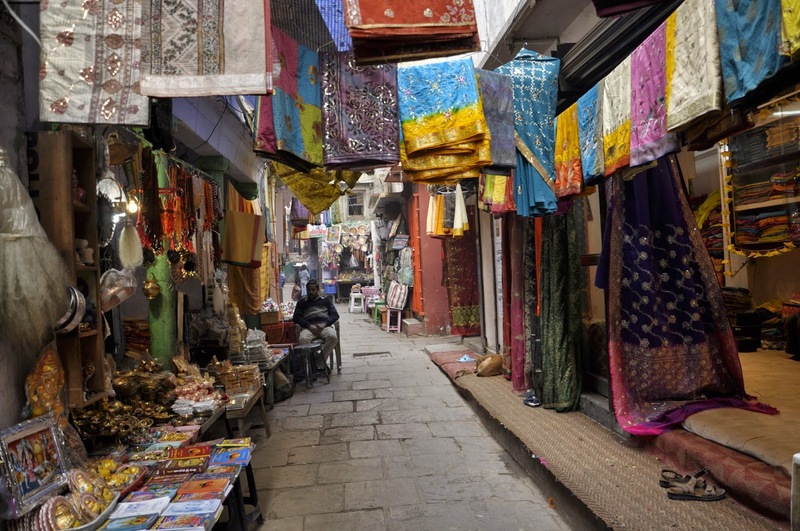 Alighting from the rickshaw, Mahesh felt an urge to visit the ‘Kashi Vishwanath’ temple. Hundreds of devotees jostled for the sandhya aarti next to the sanctum-sanctorum where the chiseled marble idols smiled benevolently in bright satin outfits embellished with brocade and jewels. The evening prayers began with fervent chants by the priest clad in a saffron dhoti with multiple sacred threads of rudraksh around his neck. The blinking lights around quaint statues added to the aura and the mystique. The fragrance from the sandalwood incense wafted around - strong yet pleasing. The sound from the conch shell echoed in the air and the chants grew louder, reaching a fervent pitch. Mahesh stood there with folded hands. One amongst many. They continued walking through the narrow crowded lanes lined with several kiosks selling betel nuts, varieties of tobacco, supaari and paan. Carrying a book, ‘Benaras: City of Light’ by Diana Eck, he was from Spain, on a research visit to pen a book on various faiths. Absorbing every nuance and every detail, the foreigner trudged along. It was like all hospitals. A place of hope and yet a place of hopelessness. Mahesh shuffled his legs frequently sitting on plastic vinyl chairs in the waiting area. A nurse in wimples swished past. When another seemingly young expectant father tried to initiate a conversation, Mahesh snubbed him. Anxious, he was in no mood for social niceties. When the silence grew deafening, Mahesh heaved himself up and went up to the nurse. “Your wife has a history of caesarians and abortions. We are doing our best,” the nurse said in a firm voice. History of abortions? I know about only one! After prowling restlessly in the waiting room, he saw the lady doctor wiping her hands with a small hand towel. He trudged out of the hospital for a breath of fresh air. It was stuffy. Thunder muttered at some distance, but not a leaf stirred. Hoping to feel the drops of rain, he spread out his hands. When none fell, he walked towards the corner shop. Asking for a pack of cigarettes, he lighted the cigarette and inhaled a deep puff. As Mahesh trudged towards the lecture hall, he saw his students sitting on the staircase, idling behind the huge pillars. This is place shouldn’t be called a university, it’s a fish market. “Apna Matty is a daddy,” whispered one. There was a loud burst of laughter. They saw him approaching. Shameless duds. If I had a son, he would never behave like them. Returning home, he found the infant alone in her crib. With a splitting head-ache, Mahesh entered the study, drew curtains, hoping to stop the mid-day sun from penetrating his thoughts. But the sun still hit the window with all its might. A note on his desk said, ‘Going to buy milk’. Mahesh decided to correct the answer sheets to distract his mind. His stooped silhouette was bathing in sunlight, as he corrected the answer papers. That is when he heard muffled sounds of the baby. The howling sustained, denting his concentration. When the howling continued, Mahesh heaved himself and reluctantly peered at the crib. It was the first time he saw her. Wailing with all the energy at her disposal, the frail bundle was throwing her clenched fists and delicate legs in the air. Briefly, he felt an urge to cradle. Somehow he couldn't bring himself to fuss over the baby, cuddle her or do anything about it. Clueless, Mahesh retraced his steps towards his study and closed the door. A storm is lashing the city with all its might when Mahesh is wheeled in the hospital. Both his elder daughters got married and settled abroad after Maya passed away. Mahesh now lives with his youngest daughter. And just when all the years of silence were making way for some communication, Mahesh suffers from breathlessness due to blocked arteries. Lying on a stretcher, he is sweating profusely in the emergency ward, next to the maternity ward where his daughter was born. Moments come back to him in swirls and glimpses - some connected, others disconnected. The universe hums with inane rush and murmur of voices but Mahesh is unable to grasp any. She wields a stethoscope slung around her slender neck and holds her father’s case file. Later that evening, after the surgery, she plans to visit the temple her father had visited all these years. A simple story attempting to portray issues still relevant today as it was in the 80s. Mahesh's character portrayal was well done and the narration spot on. And yes, apt title too - Karma has a way of getting back, doesn't it? You are getting better and better at this fiction thing, Alka. Hope to read a book authored by you soon. Good luck. I love your languid style. It's unbelievable but we still have men like Mahesh who equate sons with security. Sadly, Mahesh continues to thrive even after two decades. A simple but rieveting story,it is all about Mahesh,a learned professor with ancient beliefs. Tell us how Maya adjusted to such a man--another story? I belong to Varanasi Indu. Most learned people are still rooted in their beliefs. This is such a haunting story. I loved the way you have narrated it. I was so engrossed in reading it. It's sad that there are still a lot of Maheshs in today's world. So so good to see you here Aathira. Coming from you, it makes me happy. I really loved your style of narration in Mango Chutney. Alka, this is perhaps one of the best stories I read recently and your portrayal of characters is just brilliant! Unfortunately we have many like Mahesh in India who are yet to realize the true worth of a daughter! Unfortunate, yes. Thank you Rahul. I shall assume that at some point in his otherwise thankless life, Mahesh realized that his Moksha lay not in producing the son he selfishly craved for for himself, but in nurturing his child to become someone who could provide Moksha to thousands as they lay suffering on hospital beds. 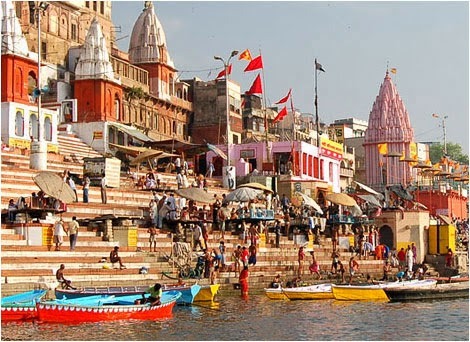 I belong to Varanasi Rickie. I have met people who continue to be rooted in their beliefs. Sadly, little has changed in the past two decades. Thank you for spending precious weekend time. The issue is as relevant today Alka, unfortunately. Sadly the society is still replete with people like Mahesh. I liked the style of narration. That is the true spirit Beloo, not many get the logic behind it. Even the learned can be blinded by the tradition that a son is a savior who performs the Pinda Daan and the daughter is a liability- Paraya Dhan. One does not attain moksha after producing a male child but accepting the gender of the child that God has blessed is akin to attaining moksha. Hope the brood of Mahesh perishes . Some still remain rooted in their beliefs. I loved the depiction of change toward the end. What I loved the most is the casual take on topics which in reality are so serious but people hardly recognize I them. Brilliant narration. I really like the simplicity of your language and writing ( very much like me :D ) You have proved time and again that even without flowery language, too many similes, metaphors or grand descriptions it is possible to pack a punch ..and it is with ease that you drive home that point. And I don't know how many more centuries will it take for us Indians to get over the 'son' syndrome. I am grinning like an idiot. Treasure your comment for I know you mean it. It is so tragic, Alka, the people caught up in old mindsets. Perhaps they did not challenge them enough; perhaps the society made it worse for them. Things are getting better in this regard but as a country we have a long way to go. Beautifully narrated. Simple, profound and powerful. Thank you Rachna. Any praise from you is a treasure. Yes, things are changing slowly in urban areas. The most educated people believe that boys are born to serve the parents whereas girls are expensive and do not yield any 'returns' ! Many a time, it so happens otherwise ! They continue to believe so ignoring cases where girls are taking care of the parents. It will but after decades....I am optimistic. Very riveting story Alka. You have depicted it beautifully. I loved the way you have built up the college atmosphere and the remarks about the prof - that was very well done. The bitter truth of our times.. Thank you for reading and appreciating. Means a lot. Great story, very gripping till the last word. I think this is the first fiction piece by you that I am reading. Very impressive indeed, Alka. The message is powerfully driven but what you have is that rare attribute - flow - which keeps the reader reading from sentence to sentence without pause. I so wanted you to read this. Storytelling is not my forte but any praise coming from you means a lot Suresh. You made me very happy. Thank you. This is such a lovely story Alka. Just like your blog posts, your story was gripping and well-written. There are a lot of men like Mahesh, who think that with the birth of a son they will attain moksha. Hope to read more stories from you. Thank you Rachna. Coming from you, the comment means a lot to me. Sadly so Alka, so many parents have streak of Mahesh and it's such a tragedy. Sensitively told story, you echoed the views of millions. Brilliant piece where beliefs rule the mind despite our modern life. Thank you for taking time to read the story Vishal. Coming from Varanasi ( my birth place) I know many such men Seeta. Unfortunate reality.